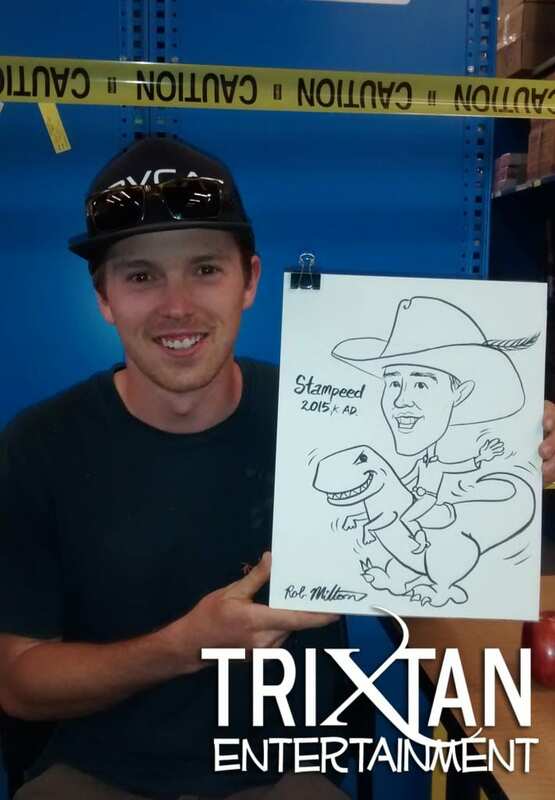 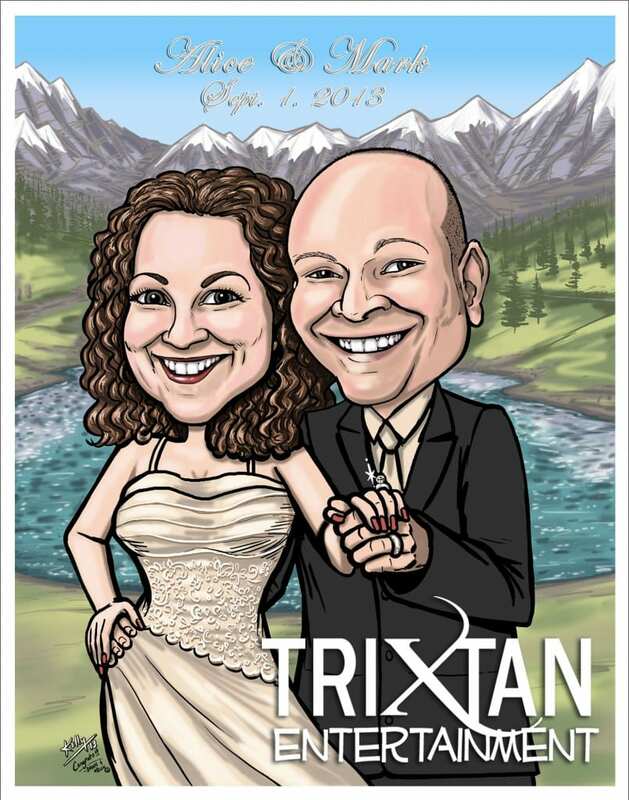 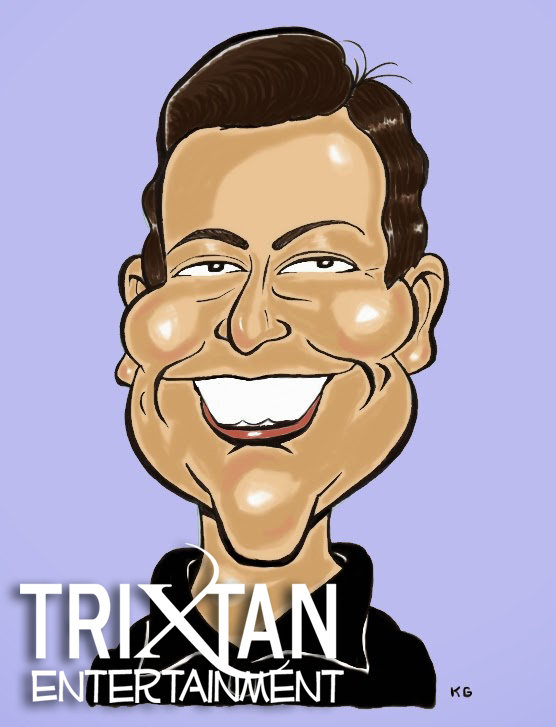 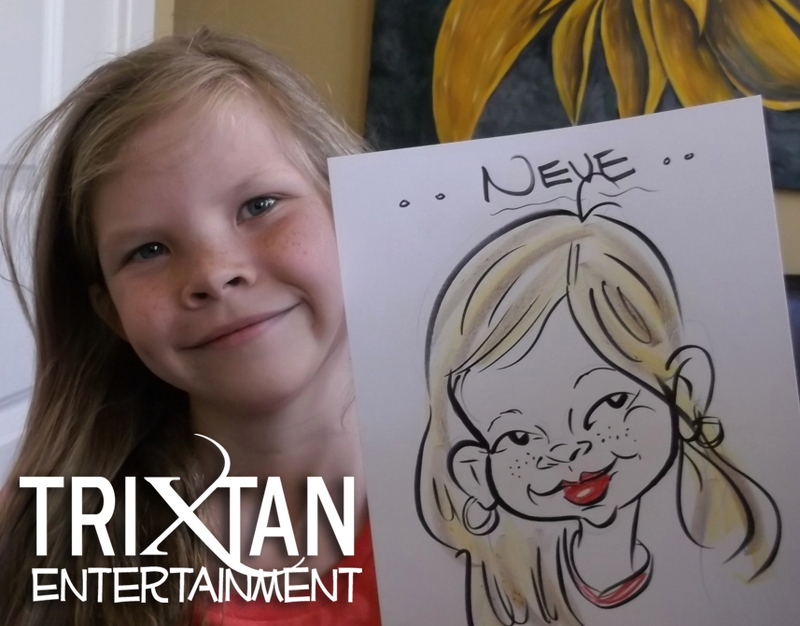 A Caricature is a souvenir to last a life time! 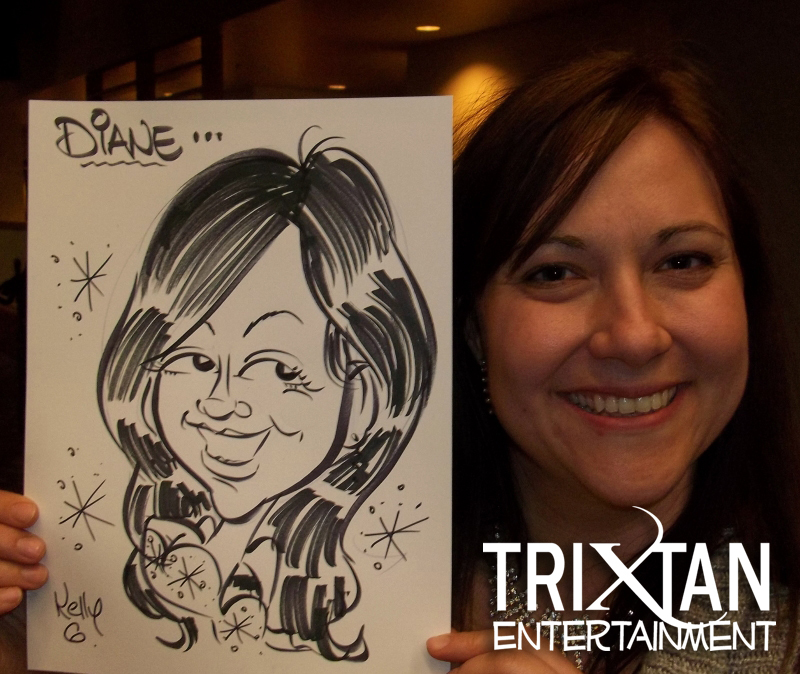 A caricature artist can accentuate your beauty or playfully illustrate your features in a fun and unique way! 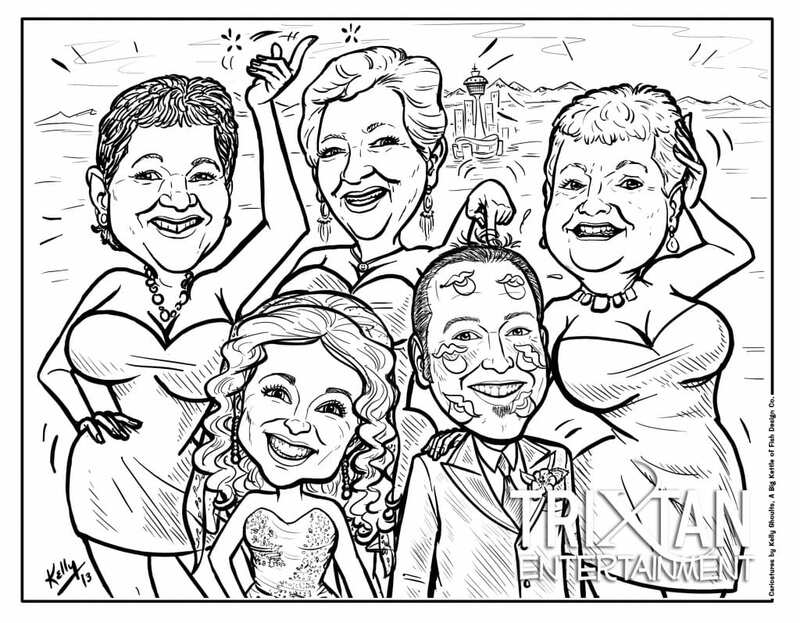 Taking special care and paying attention to every detail, every Caricature is unique but every single one is amazing! 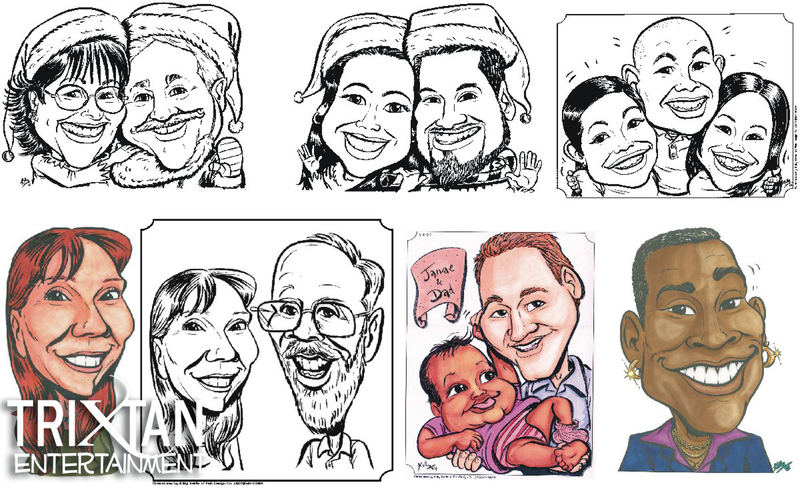 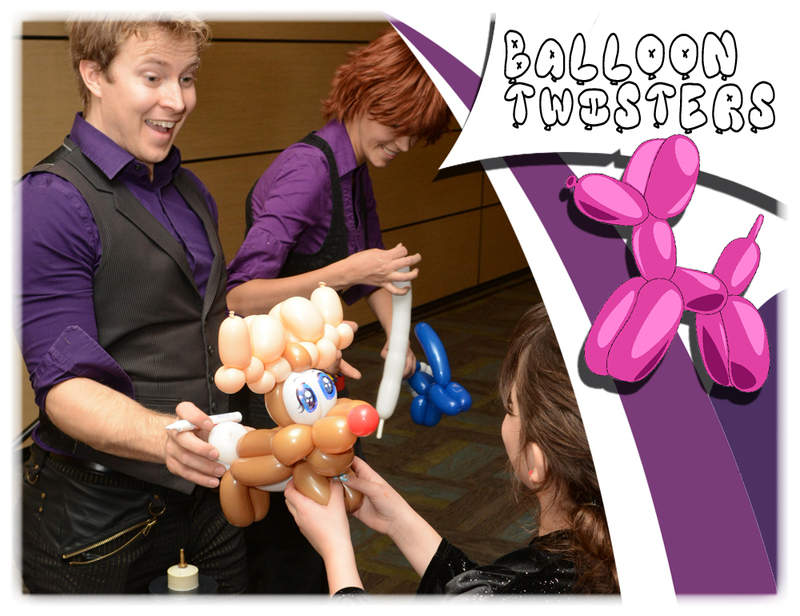 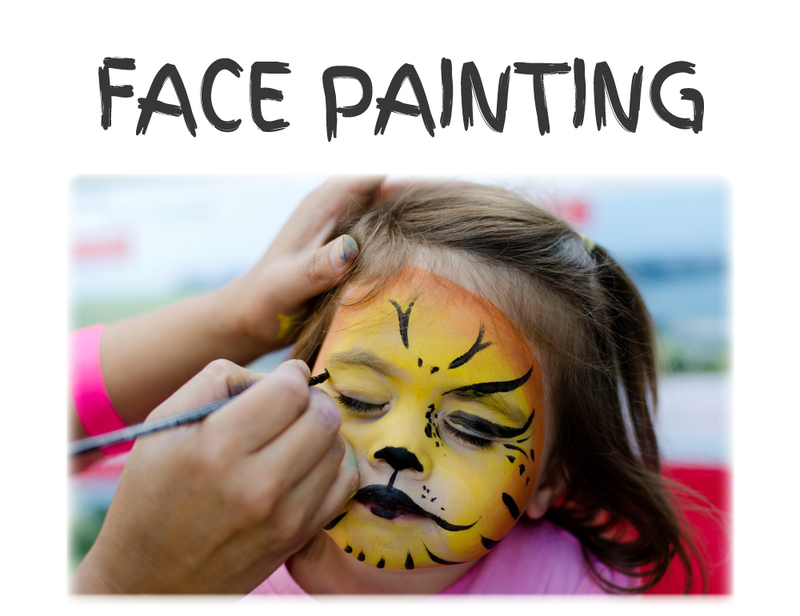 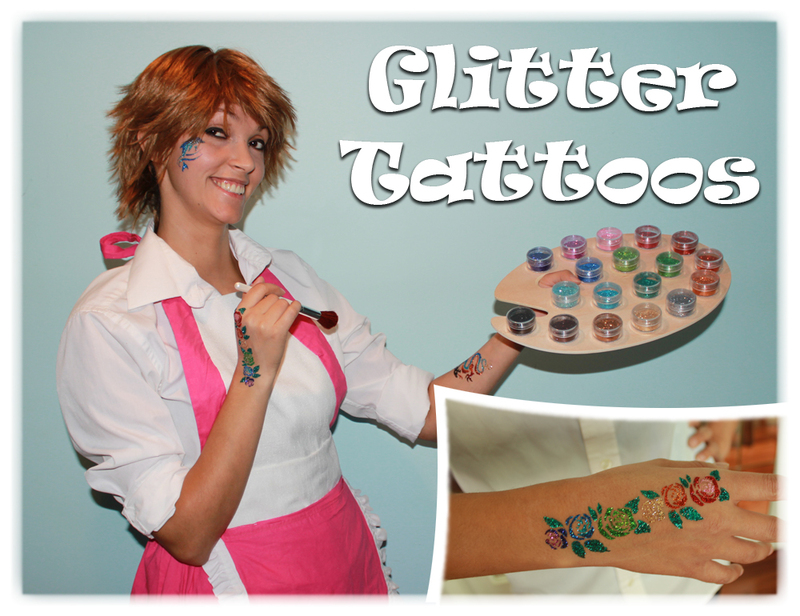 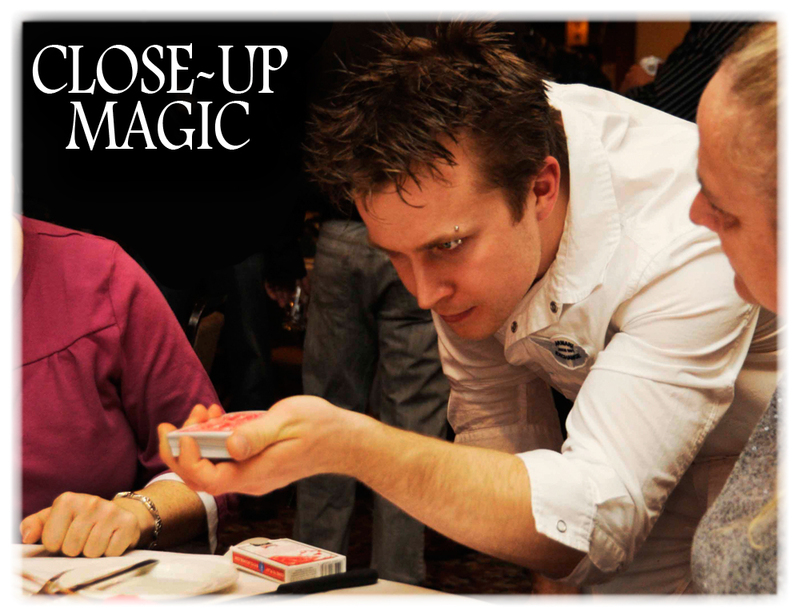 Have them draw you on your own or make it a family or group affair! 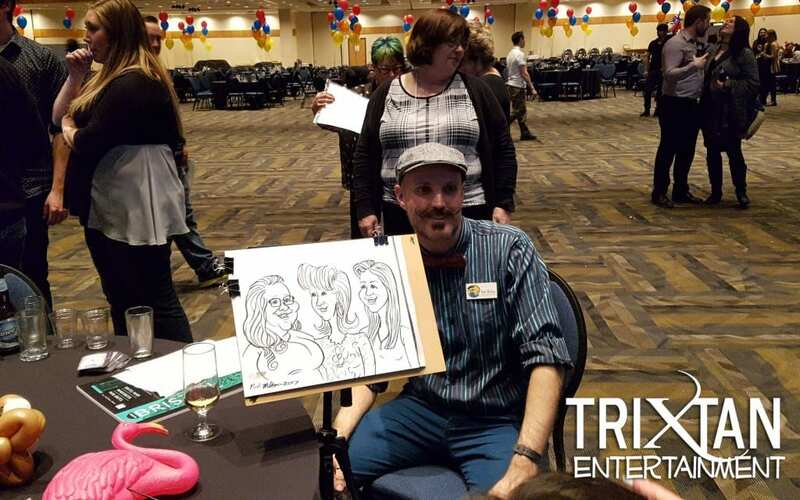 Our artists can draw multiple people together in the same picture, the choice is yours. 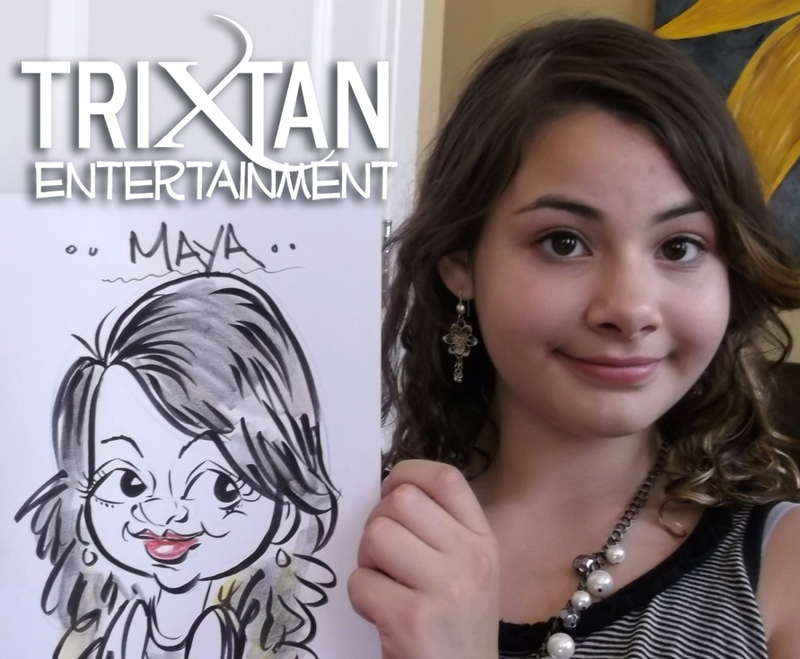 Drawn in color or in just black and white, have it made your way. 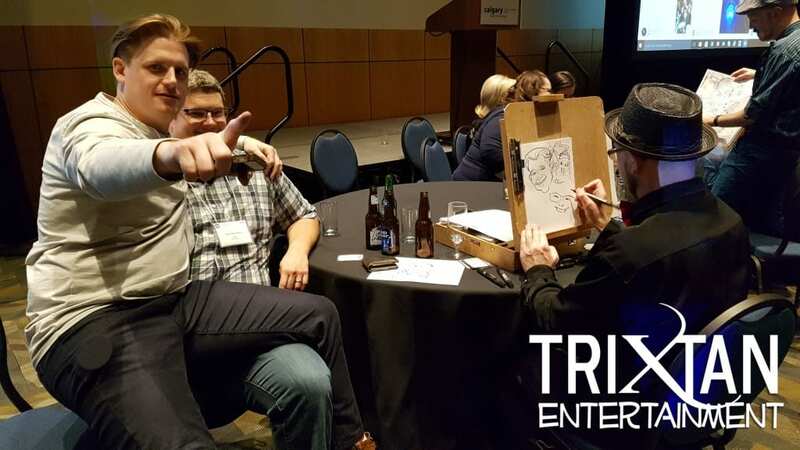 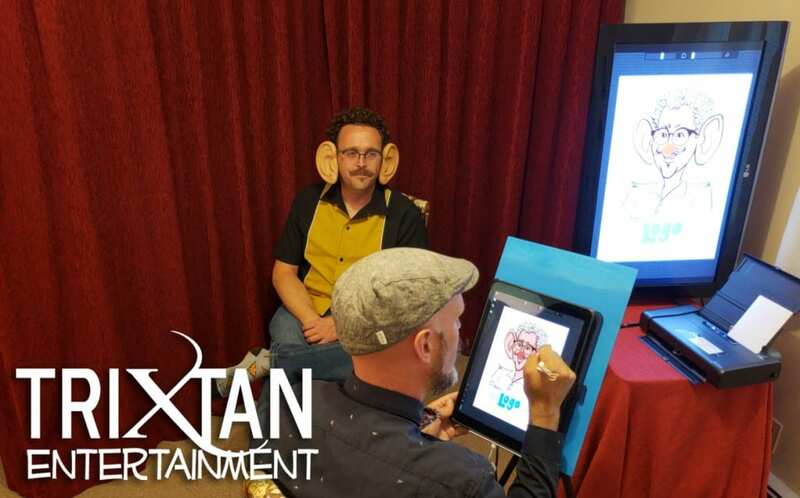 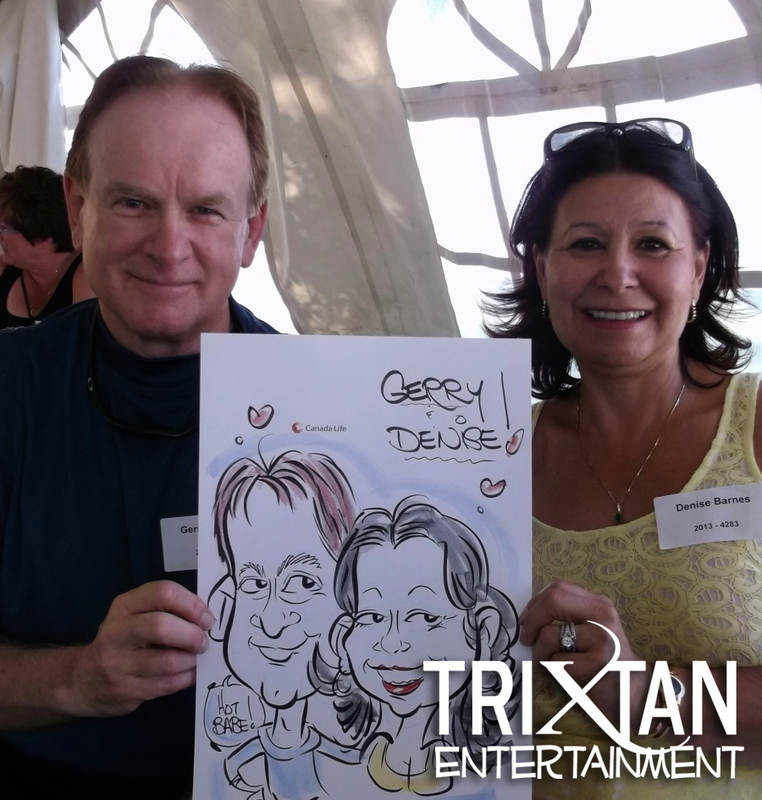 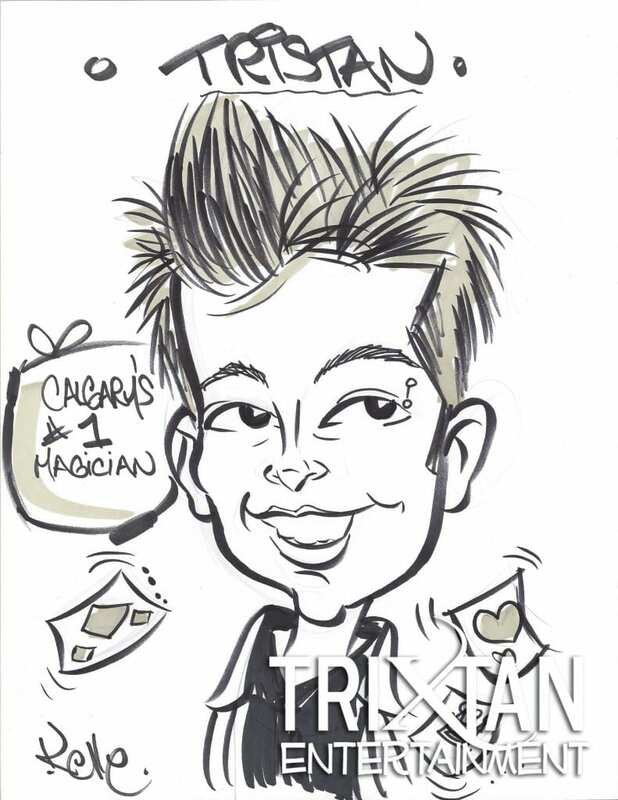 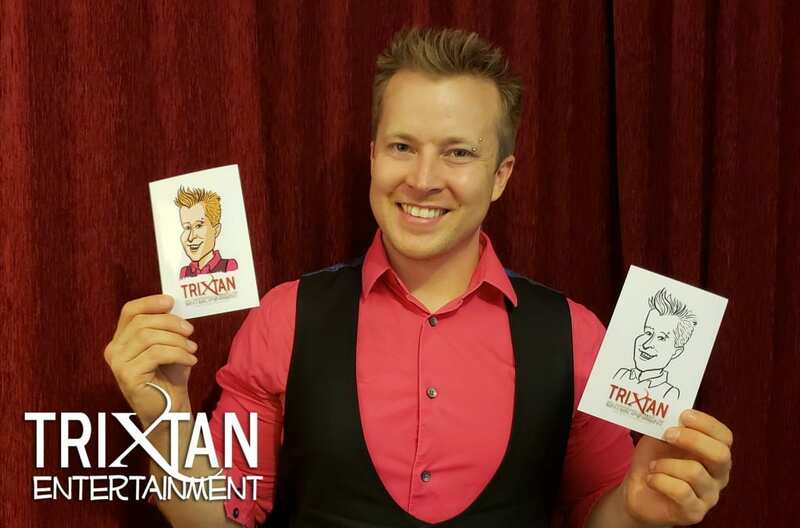 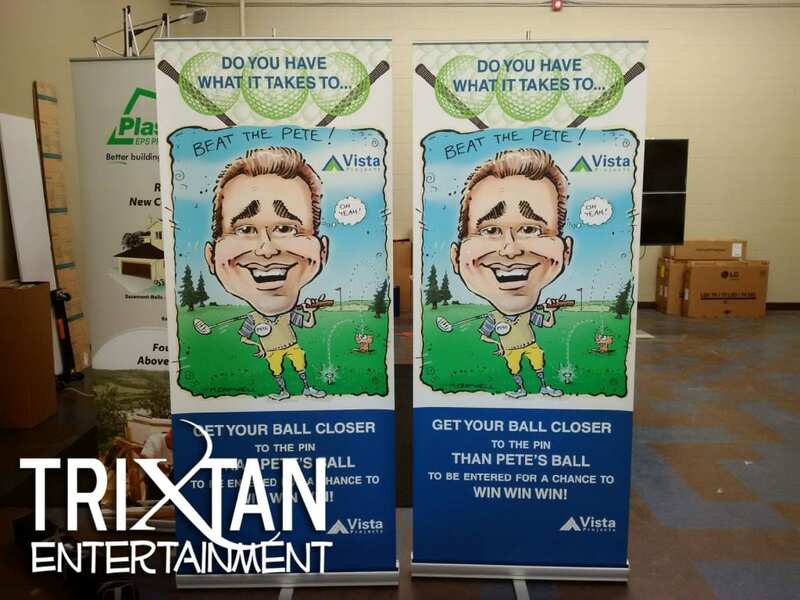 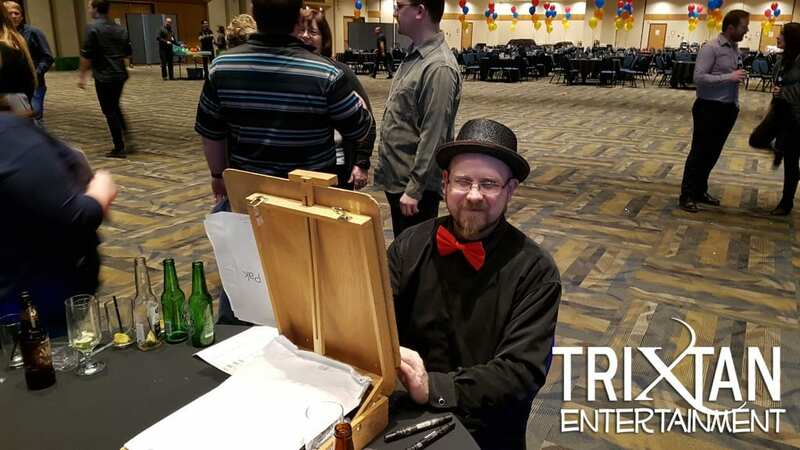 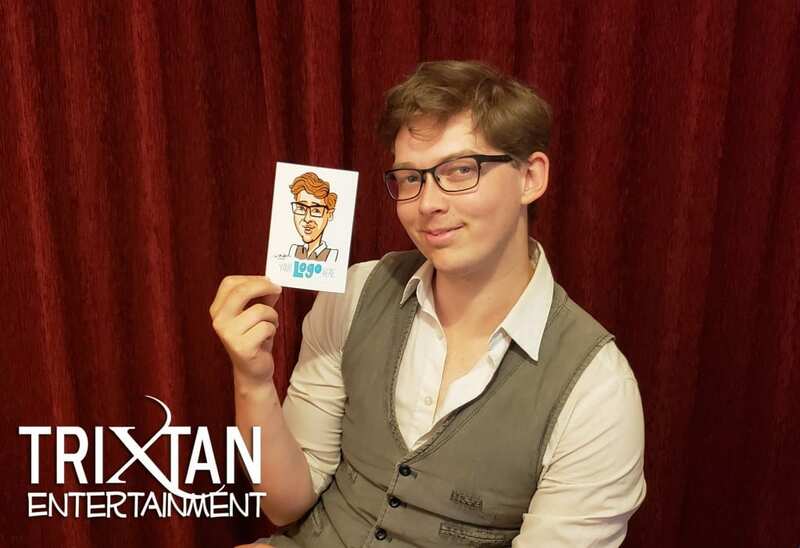 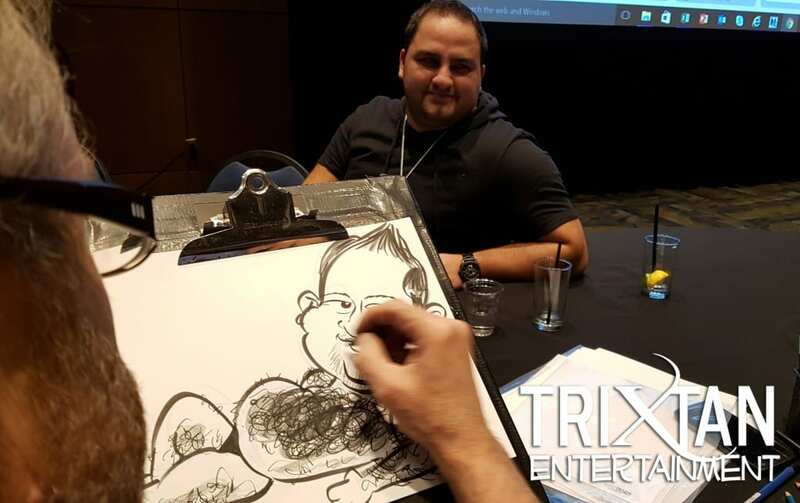 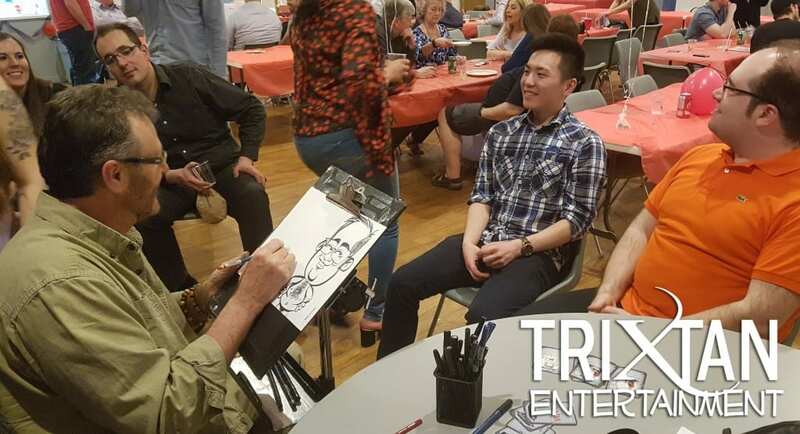 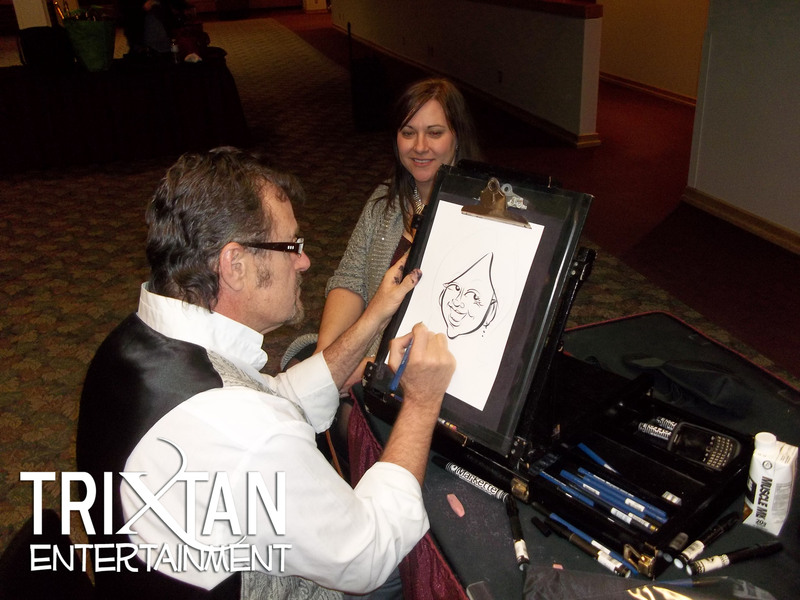 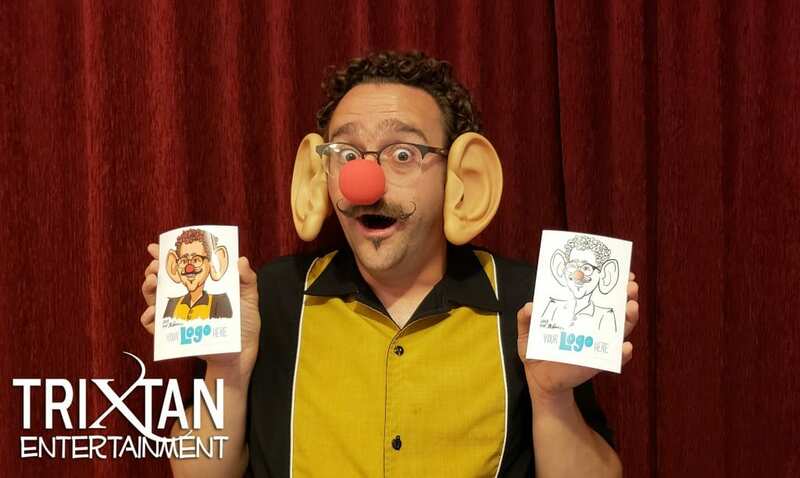 Having a caricature artist at your event will give your guests a fun and unique little gift to take home and treasure for years to come! 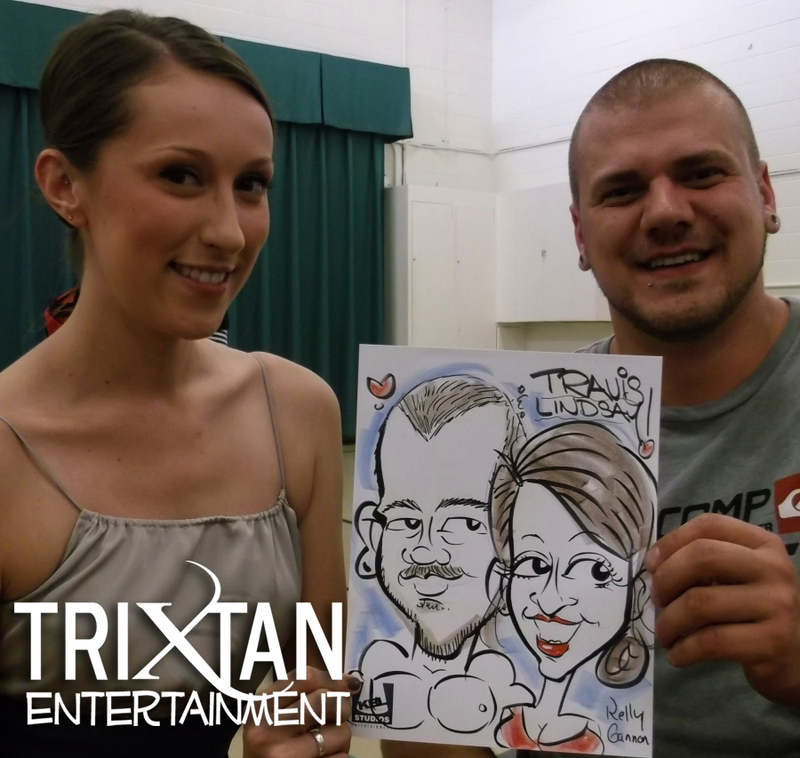 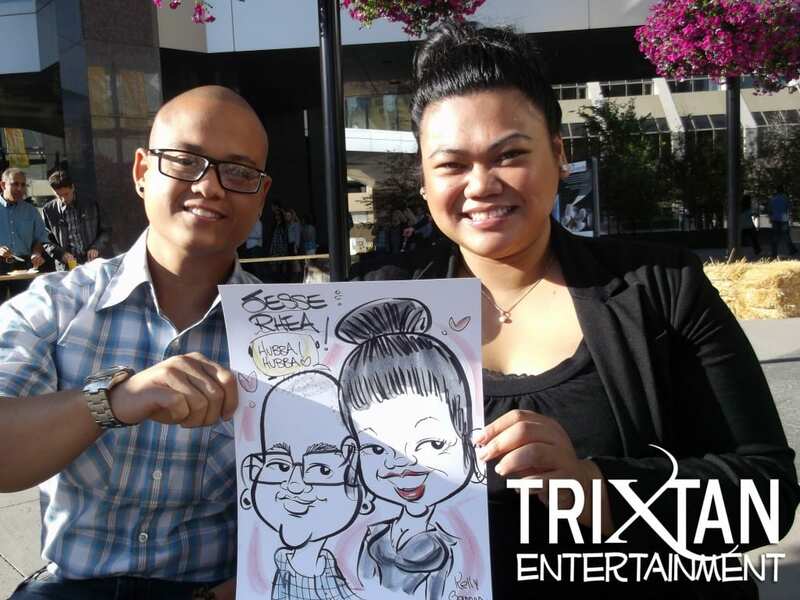 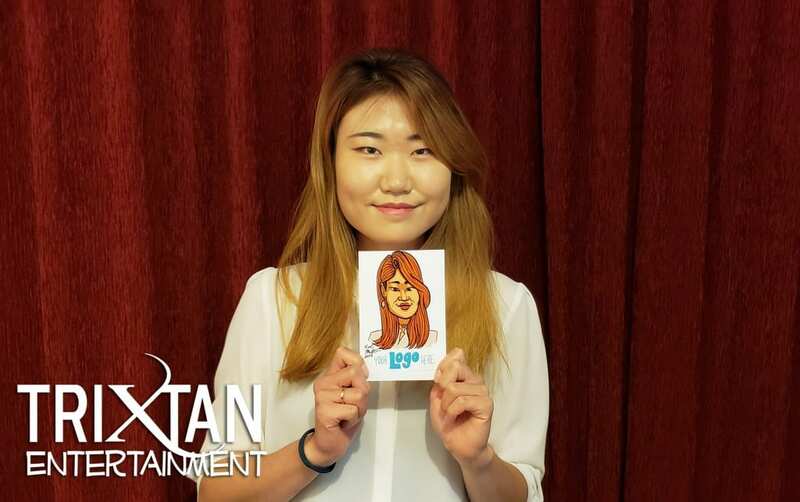 Thank you for organizing the Caricature artists for our wedding, with four artists, we were able to get everyone a Caricature drawing of themselves to take home with them. 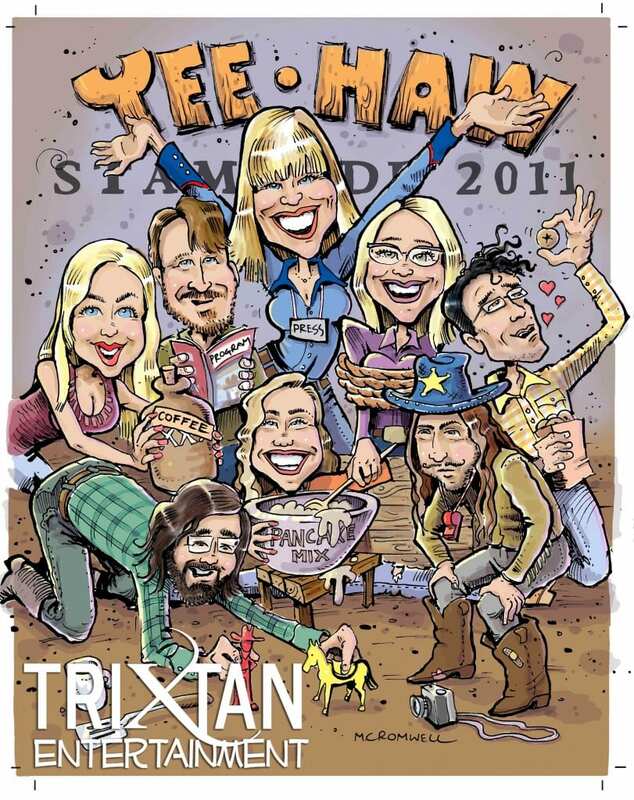 They are all so talented, we can't thank you enough! 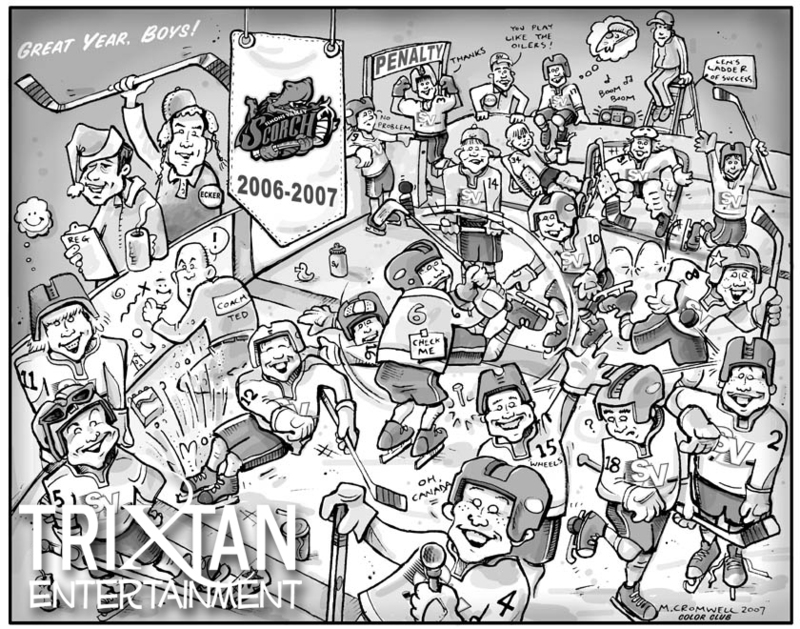 Entire hockey team Caricature drawn in gray scale.